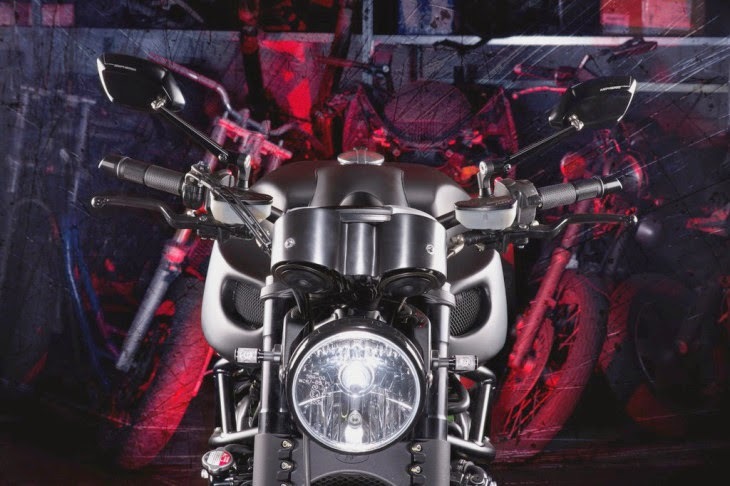 Officine GP Design is an Italian customizer well known for its elaborate conversions of production motorcycles. 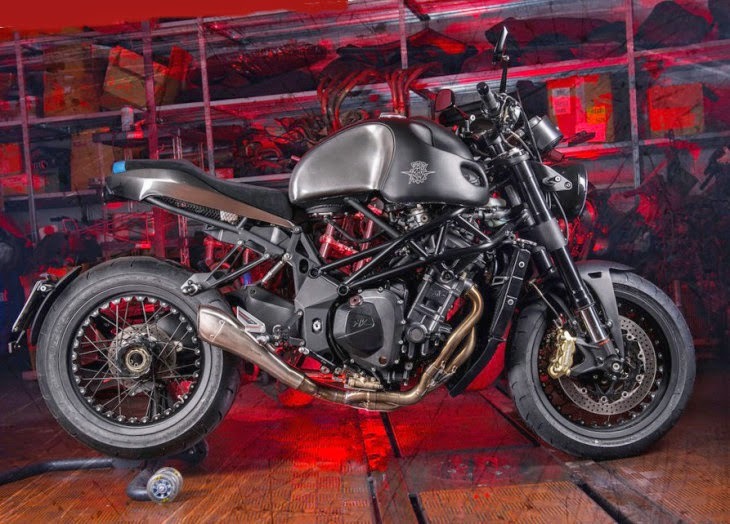 The Brutal Boss pictured here is based on the now discontinued four-cylinder MV Agusta Brutale 920. 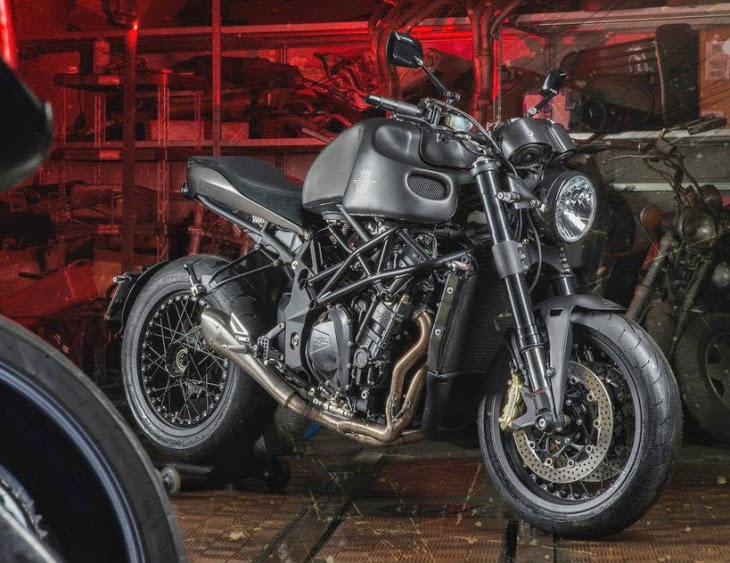 The Brutal Boss was prepared for a customer looking for a motorcycle inspired by the 70s. Stripped bare, a new tank made of aluminum was created by hand, along with the front fender, instrument covers and rear subframe.